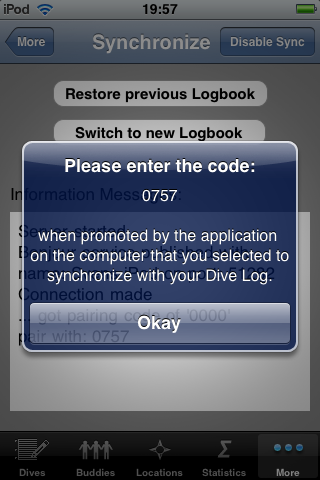 The iPhone Dive Log is developed by More Mobile Software and fully compatible with Diving Log on the PC. 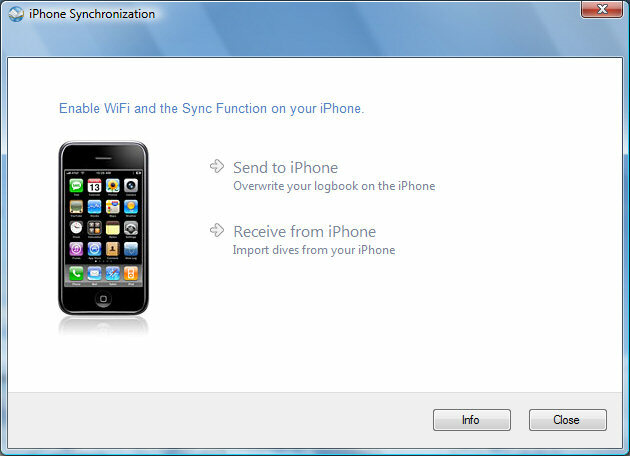 You can sync your logbook to the iPhone, iPad or iPod Touch, make changes and sync these changes back to the desktop computer. 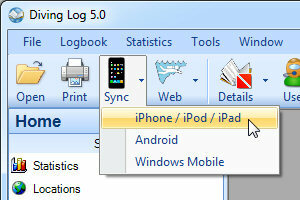 To open the sync function in Diving Log, click the dropdown arrow in the main toolbar next to the "Sync" button. The next time you can directly click the toolbar button. The synchronization works via WiFi. You don't need to connect your iPhone to the USB port, but you must enable WiFi and both, the PC and the iPhone must be connected to the same LAN. 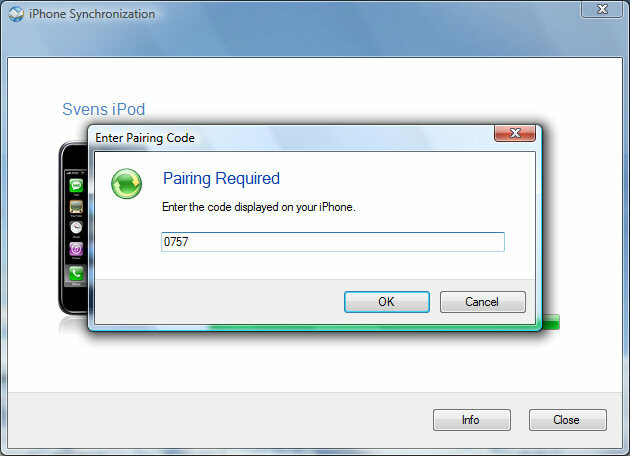 On the PC you must install either iTunes or Bonjour for Windows. Start the iPhone Dive Log application, then select the "Synchronize" tab (by default it is under the "More" tab) and tap on "Enable Sync". When Diving Log recognizes your iPhone it will display the name of the device and enable the 2 sync buttons. When you run the program the first time you must pair your iPhone and your desktop computer for security reasons. 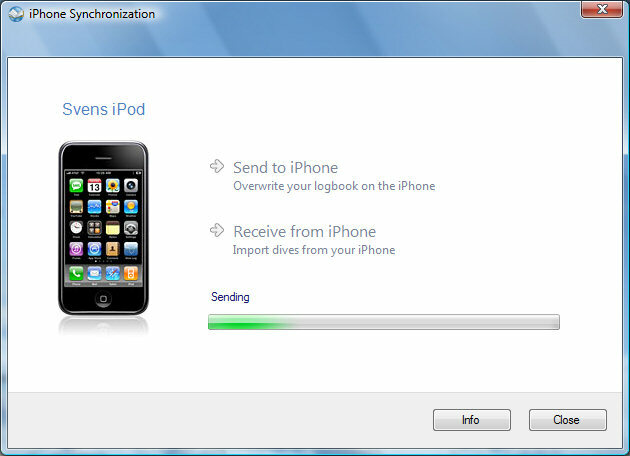 Synchronization of the iPhone and the PC Logbook is a two step process. First, sync the iPhone to retrieve any changes made on the iPhone. Changed entries will be updated on the PC and you will be given a chance to confirm deletions from the iPhone. When you are ready, sync the iPhone and the PC again to upload the updated Logbook to the iPhone. Once the transfer is complete, you will confirm that you want to use the new logbook by pressing the "Use new Logbook" button.